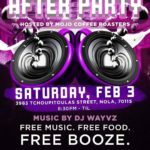 The New Orleans Barista Social Club conducts two regular events – Thursday Night Throwdown and Coffee After Hours – and anticipates hosting and supporting other coffee-centric activities in the future. 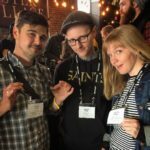 Our events are aimed at supporting the coffee professional, bringing awareness to the profession and industry topics, and building community among coffee pros and enthusiasts. Unless otherwise noted, all Barista Social Club events are free to attend and open to people of all interests and experiences. 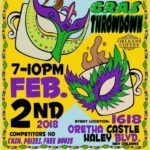 Thursday Night Throwdown is a community celebration and skills exhibition cleverly disguised as a tournament-style, winner-take-all competition. 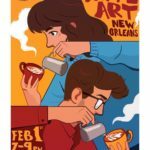 Baristas from around New Orleans go head-to-head pouring latte art, and a panel of judges decides who advances until only the champion remains. Similar events are observed across the country, though the TNT format got its start in 2008 at Atlanta’s Octane Coffee. 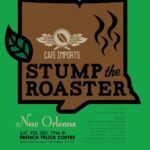 Thursday Night Throwdown is held monthly at coffee shops throughout New Orleans. Visit our blog or check the event calendar to find details about upcoming events. Coffee After Hours is a series of informal, interactive and informative talks related to the specialty coffee industry. Past topics have included brew methods, extraction, green coffee importing, palate development and roasting. Visit our blog or check the event calendar to find details about upcoming events. If you’re interested in participating in, hosting or creating a coffee-centric event, please contact us with details. In addition to Thursday Night Throwdown and Coffee After Hours, the Barista Social Club has professional resources and experienced baristas available for other speaking and educational opportunities.